Everyone wants a mobile phone these days and mobile phones are probably on everybody's wish list. You don't have to break the bank though in order to give your child or teener a mobile phone this Christmas. Here are some of the cheapest mobile phones you can get on Pay as You Go plans. The cheapest mobile phone you can get on pay as you for only £20 on Vodafone Ltd is the Nokia 1661. It doesn't come with a lot of bells and whistles though, for £20 you only get a basic phone with an FM radio and music player though you're only limited to 8MB of internal memory. You can get the Nokia 1661 unlocked with Vodafone Pay as you go sim for only £14.90 at Mobiles.co.uk. Or if you wanna go dirt cheap, the Nokia 1661 is only £7.95 at carphonewarehouse with a Virginmobile pay as you go sim and when bought with a £10 airtime. Same deal over at Dial-a-Phone only it's with a T-Mobile sim. For £30 more, you can get the Nokia 2730 which has 3G, Bluetooth with A2DP, microSD slot for your music, 2 megapixel camera, and an FM radio for only £50 with £50 worth of calls and texts at Vodafone Ltd. If you want it with a 3 sim, you can get it for only £49.95 but you have to purchase £10 airtime over at Dial-a-Phone. The Sony Ericsson W595 is not a new phone but it's one of Sony Ericsson's more popular phones mainly because it's cute and cheap. Over at Vodafone Ltd, you can get it for £100 with £50 worth of calls and texts. 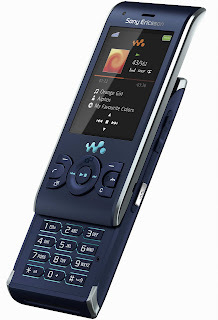 The Sony Ericsson W595 is a music phone with 3G, shake control, accelerometer, Memory Stick Micro, Bluetooth with A2DP, FM radio, and 3.2 megapixel camera. Carphonewarehouse's prices aren't cheap and you'll end up paying more than £100. Dial-a-Phone on the other hand, has the Sony Ericsson W595 for only £69.95 if bought with £10 airtime but they only have it with an Orange sim. If you're into touchscreen mobile phones, the Samsung Genio Touch is the best value touchscreen mobile phone on the scene today. 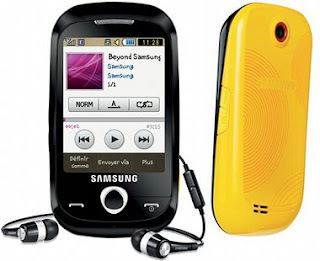 It has interchangeable back covers, Bluetooth with A2DP, 2 megapixel camera with smile detection, music player, FM radio, web browser, and a microSD slot. Vodafone Ltd is offering the Samsung Genio Touch for £80 with a pay as you go sim and £100 worth of calls and texts. 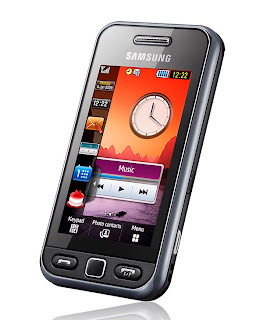 If you're looking for Orange pay as you go, Mobiles.co.uk has the Samsung Genio Touch for only £73.90. At carphonewarehouse, the Genio Touch's cheapest price is £66.63 with a T-Mobile or Virgin sim and if bought with £10 airtime. Dial-a-Phone seems to have the cheapest price for the Genio Touch on pay as you go for Vodafone and Orange sim even if bought with £10 airtime. Even before the Samsung Genio Touch was introduced, the Samsung Tocco Lite is the most popular and cheap touchscreen phone on the market, competing with the LG Cookie. It's still popular and available and you'll only have to shell out £90 on Vodafone Ltd and also includes £100 worth of free calls and texts. For £10 more than the Genio Touch, you'll get a more sophisticated looking phone and a better camera. Mobiles.co.uk is offering the Samsung Tocco Lite for only £77.90 with a Vodafone sim or £79.90 with an Orange, O2 or T-Mobile sim. Dial-a-Phone and carphonewarehouse prices for the Samsung Tocco Lite on pay as you go is about the same, £79.95 when bought with £10 airtime either with Vodafone or Orange. Hi I have just got the samsung qwery only to find when I put an old memory card in the pictures dont show and only a ? appears - any help please? Does it read the memory card? If it does then the ? means the photo may not be a jpeg file and could be another picture file so the samsung can't read it.